Since 2003, 2 Hounds Design has been making beautiful products for dogs. 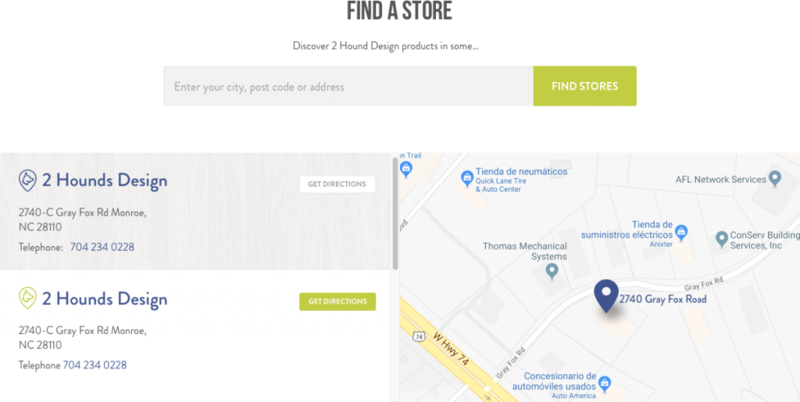 Cultura Interactive redesigned their website creating a new environment where customer can choose from hundreds of exclusive designs, and made their purchase easy and safe. 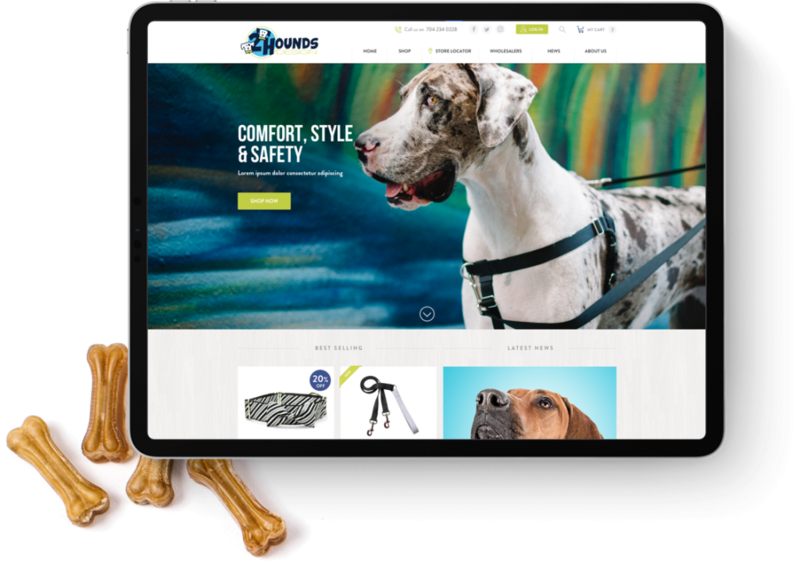 Our team of WooCommerce Experts were hired to redesign the website for 2 Hounds Design, creating a beautiful and useful environment where “dog lovers” can easily and conveniently choose from hundreds of products and make their purchases safely and reliably. 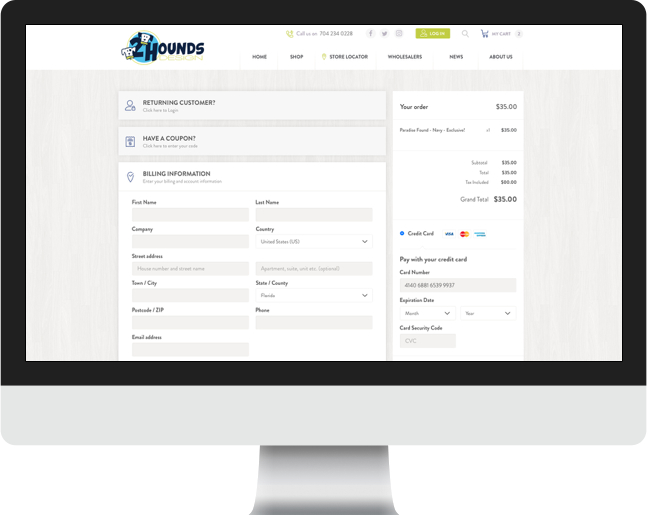 Our WooCommerce Experts transformed 2 Hounds Design into a thriving and moderns e-Commerce store. WooCommerce makes it easier for storeowners to manage their inventory, so that customers can choose specific size, color and design when selecting a product to be added to their carts. WooCommerce can be integrate to large array of third party digital marketing solutions to develop campaigns for abandone carts, follow leads, reward loyal customers, and announce offers and sales. 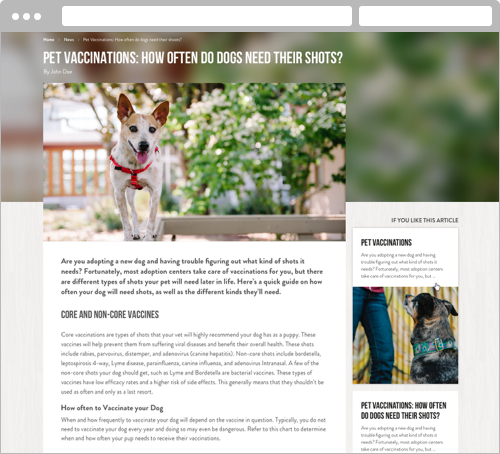 We developed a Blog where 2 Hounds Design experts can share ideas, tips, techniques, and more with the dogs’ lovers’ pals. We know the world is moving toward mobile first and everyone uses their phones to search, browse the web and purchase products. In order to provide a mobile-friendly interface; Cultura Interactive used Responsive Design methodology to allow visitors to easily navigate and buy their favorite products on any mobile device without any hassle. 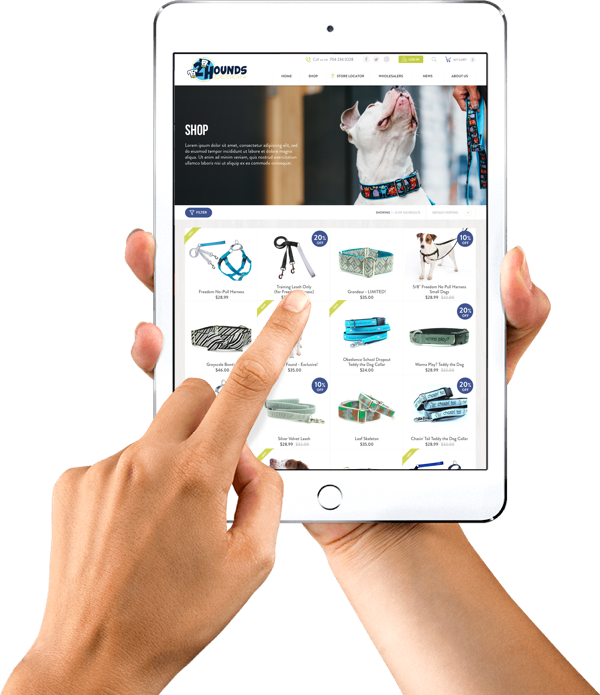 Mobile friendly filters, carts and a clean checkout process makes easy for customers to search and choose collars, harness and/or accessories and fulfill secure payment from the confort of their mobile devices using the renewed e-commerce website based in WooCommerce for 2 Hounds Design.